This is the first of two posts this week recapping my experiences in New York City last week. I was primarily there to be part of the Author Hub at Book Expo America (more about that on Friday). But today I want to tell about my first NYC book signing. Friend Grief and AIDS: Thirty Years of Burying Our Friends grew out of my experience in Chicago’s AIDS community in the late 80s/early 90s. I was a fundraiser, often the only straight person in the room. And though many people asked me why I involved in “that”, I felt a responsibility to do what I could. An unexpected but remarkable result of writing this book has been meeting men in ACT UP (AIDS Coalition To Unleash Power), some of whom were heroes of mine back in the Bad Old Days. I’ve also met many remarkable men and women who are new(er) to the movement. Their knowledge and passion are humbling. Sunday night I did a reading at Bureau of General Services – Queer Division, a gay and lesbian bookstore on the lower east side of Manhattan. I put out the word, but you know, it’s impossible to predict who will show up. At Book Expo, we heard a lot about building a street team: readers who are invested in your success and want to help spread the word about your work. I had that kind of group at BGSQD. Ten men – most around my age – engaged in a deeply emotional, and occasionally funny, discussion. The premise of my book is that friends made all the difference in the AIDS epidemic (they still do). Friends became the family of choice for those who were abandoned by their ‘real’ families. The men who joined me were living examples of that premise. They were men who had visited dozens of dying friends in the hospital, papered their refrigerators with photos of hundreds of friends who died, got arrested for demonstrating on behalf of those who were discarded by society. There were tears and smiles as we discussed the long-term, long-repressed grief that is only recently being spoken of in the community. Why? Why now? I don’t think we came up with a definitive answer. Maybe it’s because many of us are at the age where we begin to take stock of our lives, reflect on what we’ve done and how we got here. Maybe it’s because the increase in new infections has triggered flashbacks of demonstrations and memorial services. Like military veterans, those of us who were around in the 80s and 90s spoke of it only to each other, and even then, not much. Those on the outside weren’t particularly interested. 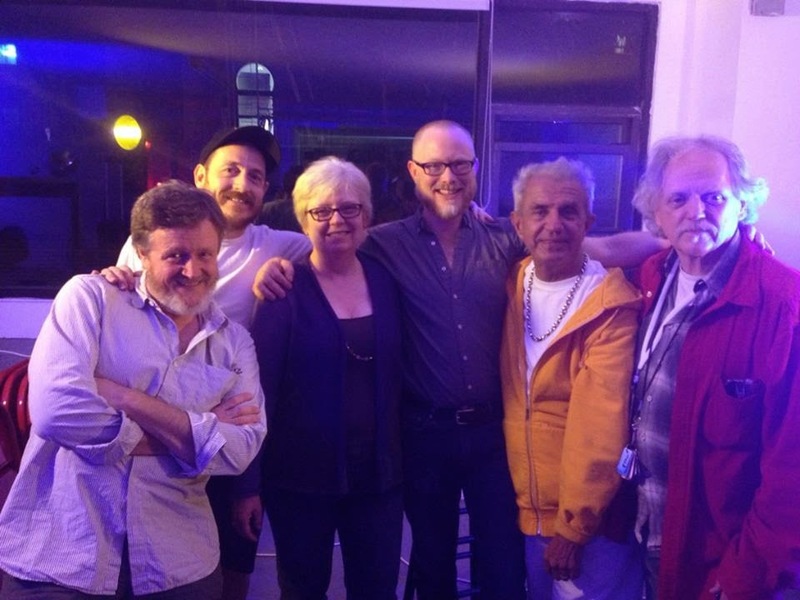 Just like the VFW and Dryhootch function as safe locations for vets to discuss their experiences, BGSQD served a similar function for those who joined in an almost three hour conversation on Sunday night. I don’t expect every reading to be so memorable. But I’m grateful to BGSQD and everyone who was there. It was the perfect example of what speakers at Book Expo encourage us to do: build a loyal base of readers who identify with you and want to help you succeed. Awards are nice, but I’d rather build Friend Grief on events like this one. And I hope you all will come along for the ride.